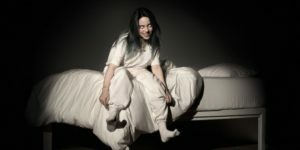 Fans are hoping that Billie Eilish’s new album, When We All Fall Asleep, Where Do We Go?, will lead to a tour where they can see this emerging artist in concert in Pittsburgh, or at least on the East Coast. Born and raised in Los Angeles, California, Eilish is headed for a summer tour, but no stops in Pittsburgh or even Cleveland or Columbus. If you don’t want to take a summer road in June to see her perform in Philly, you can start dwelling in wonderful, edgy moodiness all by yourself here with her new songs. Billie Eilish’s “When We All Fall Asleep, Where Do We Go?” album cover art. Building off the sound of her past songs “ocean eyes,” “idontwannabeyouanymore,” “Lovely,” and “when the party’s over” her music falls under the pop genre but is very different: if you are in your feelings or just chilling, her music is perfect for you. Through the different sound effects she and her brother Finneas mix into her songs, it can be a little creepy. Her music videos are very different, too, all keeping the same eerie feeling like you’re stuck inside of a nightmare. She hopes to someday collaborate with Tyler, The Creator, Drake, Earl Sweatshirt, A$AP Rocky, and Miguel and keep following in the footsteps of her LA inspiration Lana Del Ray. 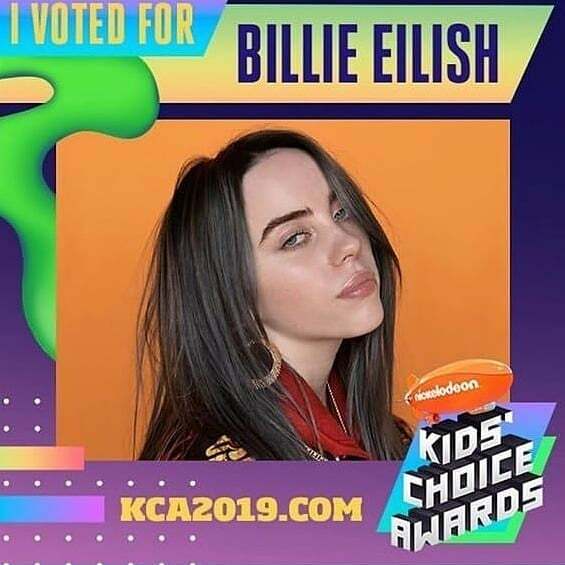 Winner of the 2019 Kids’ Choice Award for Favorite Breakout Artist, Billie remains unlike any other artist as her fame grows with each new song.